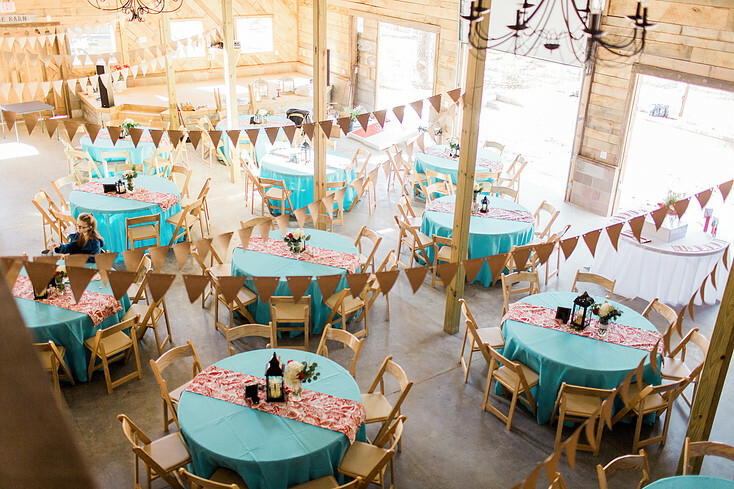 The Barn at Sleepy Hollow will be the perfect backdrop for all occasions and celebrations near Ozark, Russelville and Clarksville, Arkansas. We can easily accommodate 200 party guests with an atmosphere unmatched by any other venue. Our two outdoor patios, showcasing a beautiful linear fire pit, will add to creating the perfect ambiance for get togethers no matter the size. Our onsite kitchen and bar are equipped with everything needed to prepare for your guests. Our loft, overlooking the barn floor and stage, will offer endless photography opportunities as well. We hope to offer you everything that you need to celebrate anything and everything. However, if there is something that you have that you would like to add, feel free to bring whatever you would like! At the end of the day, we are here for you. If you aren’t happy, we aren’t happy. This package is solely for rental of the property for a 4 hour period. You will have full access to all of the amenities of our barn (indoor and outdoor). This will include full access to the kitchen and use of the bar – clients provide alcohol - ($250.00 fee required if alcohol is present; bartender included.) Tables and chairs will be provided for the number of guests expected. *This package is for events with ONLY 50 guests or less. You and your guests will have full access to all of the amenities of our barn (indoor and outdoor). This will include full access to the kitchen and use of the bar – clients provide alcohol - ($250.00 fee required if alcohol is present; bartender included.) Tables and chairs will be provided for the number of guests expected. Contact Us for Add-on Pricing and/or any questions.